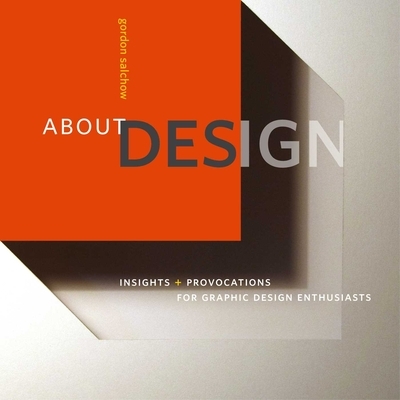 A treatise on the development and practice of the graphic design discipline. The aforementioned themes, along with others, are interspersed with interludes that challenge certain long-held assumptions, provide contextual references, offer insights and suggest some fresh ways to analyze how we see, choose, inspire, and do. Gordon Salchow is Professor Emeritus at the University of Cincinnati’s College of Design, Architecture, Art, and Planning. He is recognized as a pioneer of modern graphic design education in America, having conceived and then orchestrating the philosophy and the components’ structure of its comprehensive and influential professional program. Gordon has been a prolific guest-lecturer, designer, author, and awards recipient. He was past Vice President of Education for the AIGA/National as well as having been named as an AIGA Fellow and has served on numerous panels, including the National Endowment for the Arts. The author resides in Cincinnati, Ohio.